MANILA, Philippines - The House Committee on Housing and Urban Development chair Alfredo Benitez confirmed on Thursday that the infamous footbridge that collapsed in Zamboanga City on April 26 costs a whopping P12 million. 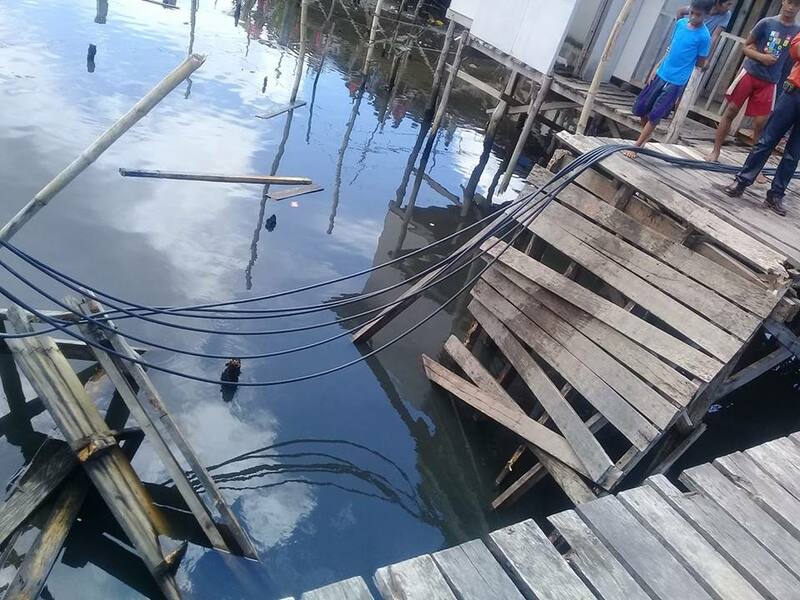 This came just days after Benitez fell into the murky waters in Barangay Rio Hondo along with Zamboanga City Representative Celso Lobregat, Mayor Beng Climaco-Salazar, and several other officials. The incident made the rounds online as the video went quickly viral. Benitez also added that the cost of the wooden housing on stilts were only P20,000 cheaper than the usual cost of concrete housing units. Mayor Beng Climaco had immediately ordered the repair of the collapsed footbridge. Just a day after they fell into waters, Climaco announced that the footbridge was fixed.